يشكل فندق Drummond Serviced Apartments بموقعه الممتاز في قلب Carlton نقطة انطلاق ممتازة لاستكشاف ملبورن. إن موقعه الجيد الذي يبعد 3 KM فقط عن مركز المدينة يساعد النزلاء على الاستمتاع بمعالم المدينة ونشاطاتها. يضفي محيط الفندق اللطيف وقربه من Consulate General of Spain, Royal Exhibition Centre, سينما نوفا سحراً خاصاً على هذا الفندق. كما يقدم Drummond Serviced Apartments الكثير من الخدمات لإغناء رحلتك في ملبورن. هذه بعض الخدمات الموجودة في هذا الفندق: واي فاي مجاني في جميع الغرف, خدمة غسيل ذاتية, تسجيل وصول/خروج سريع, تخزين الأمتعة, واي فاي في المناطق العامة. تعكس غرف الفندق البالغ عددها 10 المنتشرة في 3 طوابق جواً من الدفء والألفة.خدمات عصرية مثل غرف لغير المدخنين, مكيف هواء, تدفئة, مكتب, شرفة/ تراس موجودة في بعض الغرف المختارة. كما أن مجموعة الخدمات الواسعة الموجودة في الفندق لضمان راحتك تترك لك الكثير من الخيارات لقضاء وقتك أثناء فترة إقامتك. يشكل Drummond Serviced Apartments بخدماته الراقية وموقعه الممتاز، قاعدة مثالية للاستمتاع بإقامتك في ملبورن. I go the AFL footy and its great to stay in Carlton to enjoy food, wine and footy. Drmmond st apartments is the ideal combination for me. I have stayed at apartments b4, but another room. Toggle security to door didn’t work. Too many différent codes. Code for car gate,code for apartment door,code for front door. Required code for gate to get car out. Keypad on outside of gate! So don’t close side gate as I did accidentally.. with car motor still going! Toilet seat was not correct size .. moved all the time!! Shower door doesn’t shut. Curtains had dirty yellow stains. Finally I received a demanding txt..that I hadn’t paid yet!! After ph calls to reception (which is not on site) they ‘finally’ found I had paid. So a big ‘no’ to this place!! First time stay and pleasantly surprised by standard of my room. Quite big and all new appliances. Bathroom good as well. Could do with a new doona though. Found it very quiet. Very basic accommodation which is completely fine for the price we paid. Clean and comfortable, but most of all the location was perfect. Very comfortable and clean. Extremely helpful staff. Terrific quiet location near tram stop and only a short walk to Lygon Street restaurants, cafes and bookshop. We had to check out after 1 night as bathroom and bedroom had mould. Worst place ever stayed. 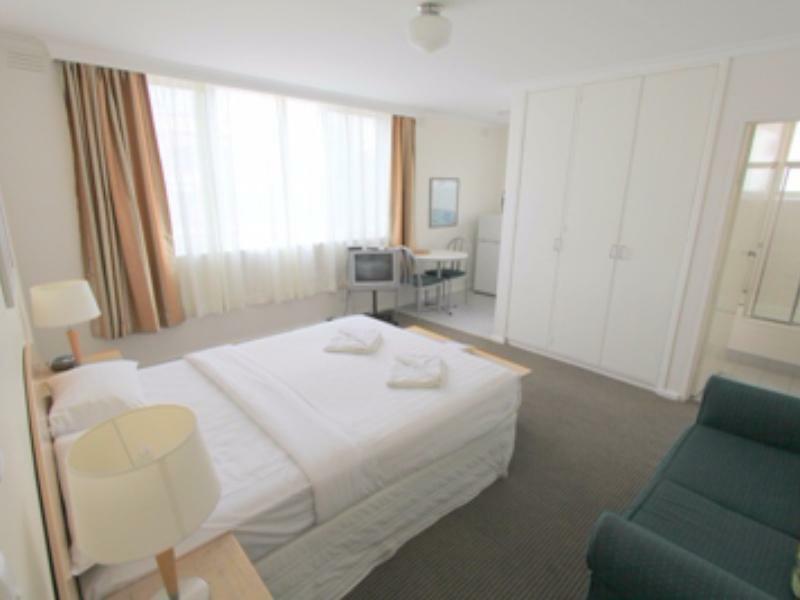 It is not fit for habitation as a serviced apartment and should not be advertised on agoda. Avoid at all costs. The apartment was just what I'd expected...& suited my purposes. The fascade was very tired & the reception isn't in the block but don't let that put you off. The facility was okay. The price was reasonable for the location. It was difficult to gain access on arrival because you have to go to another nearby site to get your keys and codes. They were nice enough to let me in a couple of hours earlier than check-in. My biggest complaint was the difficulty in getting in and out of the complex. Extra fee of $15 to park car in their back lot. Very small spaces, and many have damaged their cars judging by the scrapes on all of the posts. You must leave your car and punch in a code for the gate to open. You must do the same when you want to leave for the gate to open. Many times a car was blocking the exit, so we had to leave through the entrance. I feel lucky I did not damage my rental car. The back door has two doors, each of which is locked. One of the two has a 'sleeve' on the handle, so you cannot open it from the outside, even with the key. The only way in if both doors are closed is to use the access code to leave via the carpark gate and then to enter via the front door, which has yet another access code. If you don't have your code on you, you are locked out. The multiple levels of security, all of which did not function conveniently and the extremely small carpark made getting in and out of this place very challenging. Better for those without a car, I think. No hot water the first morning, but fixed within a couple of hours. We stayed three days. Kitchen was not cleaned on second day, though room was serviced. Three days was enough for us. Reception was in a different building, 5 minutes away. Reception staff undertook to take my bags to my room before my return. They didn't. No tissues; the loo seat wasn't properly attached; crockery and cutlery was dirty; no tea towel. 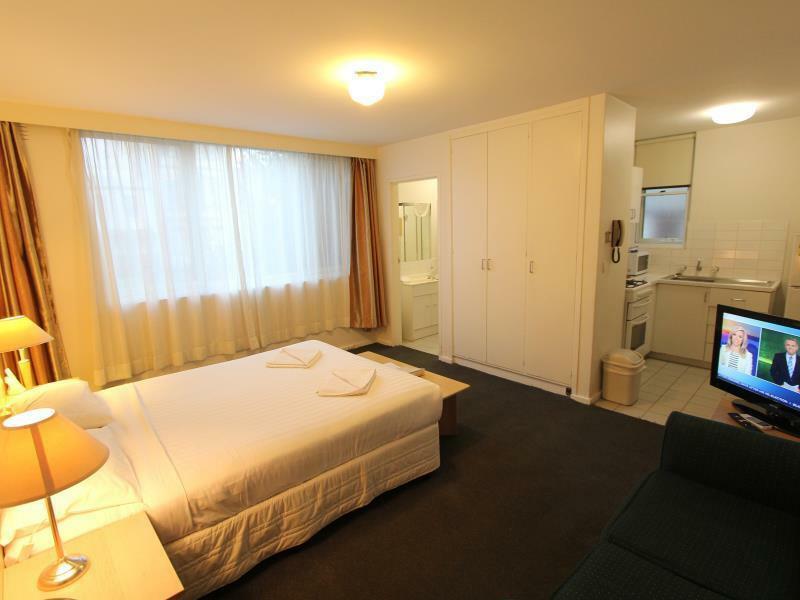 The facility was very close to the Lygon Street eating precint and a very short one block walk to the supermarket. It was close to the University and six minutes walk to the Australian College of Optometry where I needed to go. Facilities were clean and comfortable and provided a kitchenette which was very handy. Our stay at Drummond Serviced Apartments was very good. Even before arriving they offered us a free upgrade. They bought a new children's seat for our daughter and tried to help wherever they could. The rooms very clean and spacious. Great strong and warm shower. Place is close to a Tram station and Melbourne Museum. Thanks for the good time. It's a good accommodation and for sure off peak time is reasonable price. 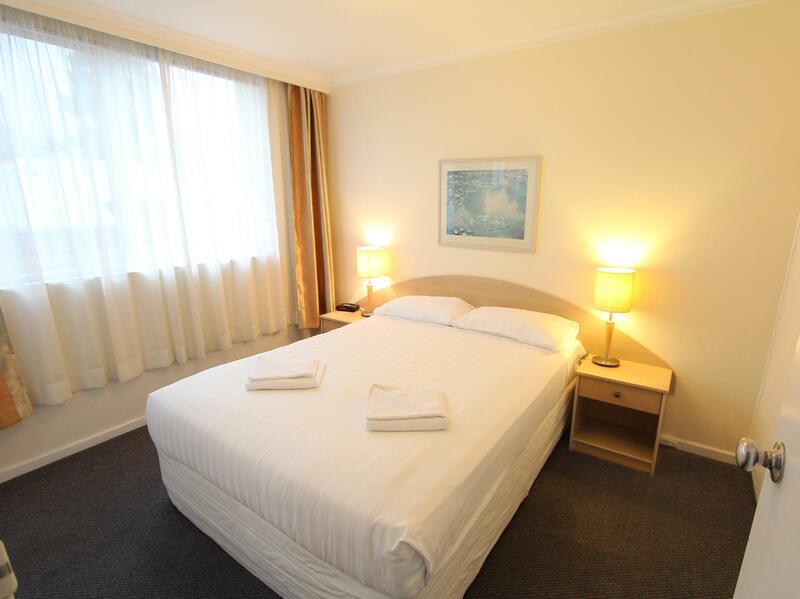 We didn't know that we were booking during F1 weekend, rate gone higher everywhere Melbourne CBD, this place is the cheapest, yet $250/night, and not located within CBD. However, we had enough facility and friendly staff, made us happily stay there. I might come back when it's off peak season. Short stay visit from interstate. Easy and hassle free. Great service and room for the price. All that was needed wax a clean room, comfortable bed and decent shower. All this was well covered. 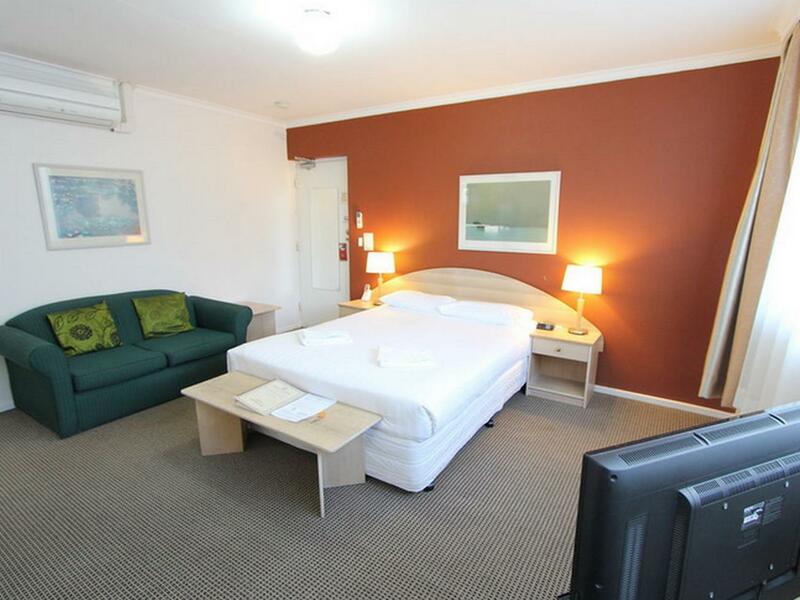 The room was clean, bed comfortable and staff friendly. 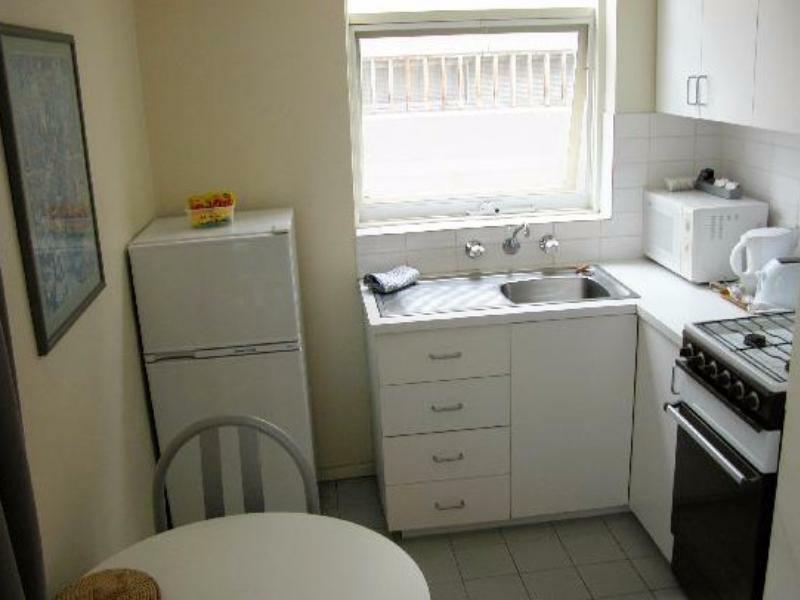 The location for Lygon St and nearby pubs & restaurants ideal, though, thought the cost excessive for a 1 bedroom queen bed room, with old small kitchenette and bathroom.